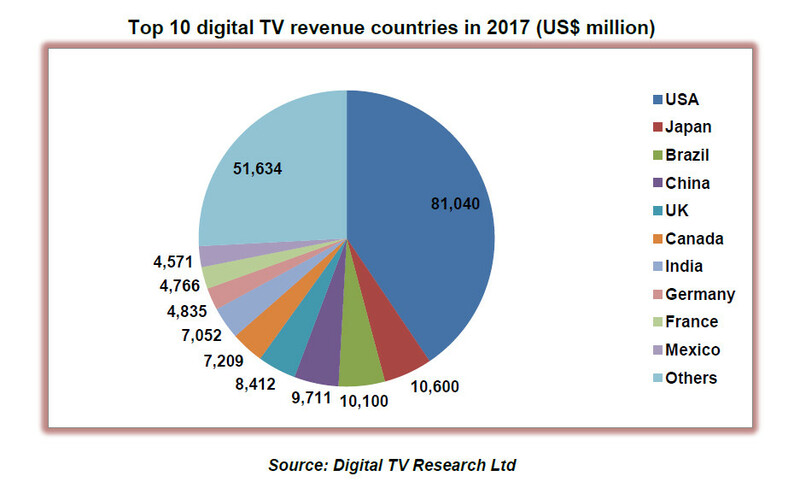 Satellite TV (DTH or DBS) revenues will overtake total cable TV revenues this year, according to the Digital TV World Revenues Forecasts report, covering 138 countries. Satellite TV revenues will make up 46 percent of total revenues in 2020, from 44 percent in 2014. 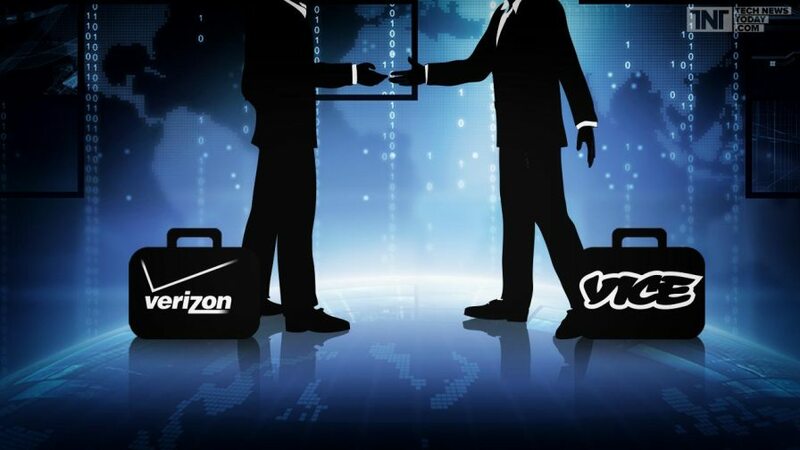 Cable TV revenues (both analogue and digital) reached 46 percent in 2014 and will decrease to 40 percent in 2020. IPTV, the fastest growing platform, will see its share rise to 13 percent by 2020 from 10 percent in 2014. Satellite TV revenues are expected to reach USD 94.8 billion in 2020, with the US still in the lead. Brazil will be second by 2020 with USD 6.8 billion, having overtaken the UK in 2013. India will add the most satellite TV revenues (USD 2.5 billion, moving from tenth to fifth place) between 2014 and 2020. However, the US will fall by USD 421 million, Canada by USD 805 million and France by USD 232 million. Global cable TV revenues peaked at USD 93.8 billion in 2012, and will fall to USD 81.9 billion in 2020. Cable operators will gain extra revenues by converting subscribers to bundles. Analogue cable TV revenues will plummet by USD 14.4 billion between 2014 and 2020 to USD 1.5 billion. Digital cable TV revenues will climb by 5.6 percent to USD 80.3 billion in 2020 from 76.1 billion in 2014. Digital cable TV revenues in the US will fall by USD 8.9 billion between 2014 and 2020 to USD 34.1 billion. In fact, digital cable TV revenues will drop for 20 countries over the same period. Second-placed China will increase its revenues by USD 2.1 billion to USD 8.9 billion and third-placed Japan by USD 2.0 billion to USD 5.1 billion. India will add USD 3.2 billion in digital cable TV revenues to take its total to USD 4.3 billion. IPTV revenues will climb to USD 27.9 billion in 2020, triple the 2010 figure. US IPTV revenues will increase by USD 1.3 billion between 2014 and 2020 to USD 9.5 billion, with Canada second with USD 2.3 billion. Third-placed China will be up by USD 1.1 billion to USD 2.1 billion, just ahead of Japan. Pay TV revenues will more than double in 33 countries between 2014 and 2020, with strongest growth in Africa, as well as in Myanmar, Laos and Bangladesh. India’s revenues will climb by USD 4.7 billion between 2014 and 2020, with China up by USD 1.6 billion and Japan increasing by USD 1.1 billion. Global pay TV revenues (subscription fees and on-demand movies and TV episodes) will only grow by 2.6 percent between 2014 and 2020 to USD 207 billion. This follows 14.5 percent growth between 2010 and 2014. The report is very suggestive that IPTV providers will also gain because most cord cutters are known to arrive from satellite TV.